Choosing a listing agent can often seem to be a very difficult decision. The answer is easy. You are all ready at my website, just like thousands of other people on the Internet. My site is one of the most popular real estate web sites dedicated to North Florida real estate. When you list with me, your home will be featured on this web site, just a few clicks away from thousands of buyer’s searches. I have hundreds of buyers who have emailed me waiting to buy a home. When you sell your home, there are only two things that matter, making the highest profit and making it stress free. How do you balance both these objectives? Again, it is simple, I bring my sellers the greatest number of qualified buyers. 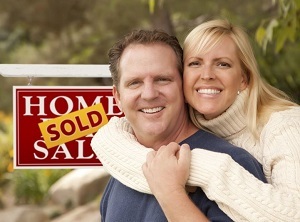 When you, the seller, have a large number of qualified buyers bidding for your home, you are in control. You have the opportunity to negotiate with strength. Real estate has changed, and this site is on the leading edge of this change. Buyers regularly check here for new listings and to read about the many neighborhoods in North Florida. Lots of real estate agents will tell you they are on the Internet, but the difference is this site is all over the Internet. It’s the most easily found website for Ponte Vedra Beach Real Estate, Jacksonville Condos, or many other search terms. It puts you back in control. Connect to a Professional:Contact me for an interview about selling your home. You may have had a real estate agent you used in the past that you are planning to use again, but you deserve to hear my plan for selling your home. There is no charge, and I am looking forward to hearing from you!